That Kia would even consider reentering the premium sedan segment a few years ago shows just how far this Korean car manufacturer has progressed in recent years. Until about 2005, most of Kia’s models were considered basic transportation, sometimes of dubious quality and certainly not what diehard automotive enthusiasts would aspire to. 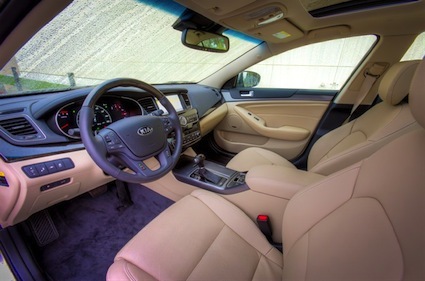 Following in its Hyundai cousin’s foot steps, Kia has been steadily improving its product line, offering higher quality products including its Optima sedan. 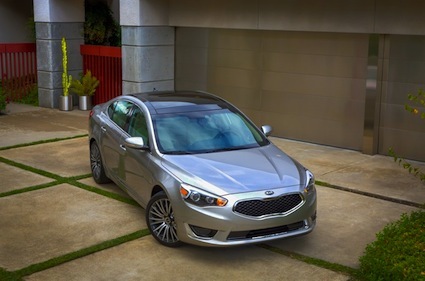 That sedan is competing well in the ultra-competitive midsize sedan segment, and beginning this spring it is being joined by the Cadenza, Kia’s second attempt at a full-size premium sedan for the North American market. Kia’s first attempt was the forgettable Amanti, a five-passenger sedan sold from 2004 to 2009. If you are not familiar with the Amanti you are not alone. Despite a positive Road & Track review, the model never was very well received. In the Cadenza, Kia is hoping for a much more positive reception. 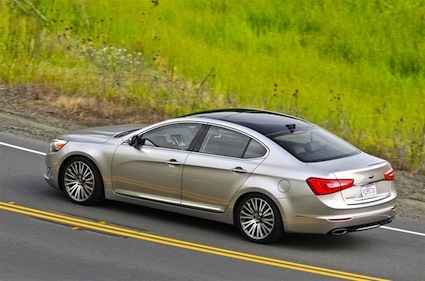 The 2014 Kia Cadenza competes in a segment already occupied by the Hyundai Azera. Other competitors include the Buick LaCrosse, Toyota Avalon, Chrysler 300 and the Ford Taurus. The full-size sedan segment is shrinking, however it does provide consumers with sedans that offer many of the amenities luxury models from Mercedes-Benz, Cadillac, Lexus and others offer without the price. Kia hopes to capture that niche, by delivering to us a sub-$35,000 model with numerous high-end features. 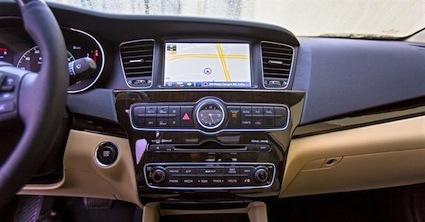 The front-wheel-drive Kia Cadenza is offered in one trim level and includes such standard features as an advanced navigation system with SiriusXM traffic support, UVO eServices powered by Microsoft and an eight-inch touch screen. The UVO package includes vehicle diagnostics, enhanced roadside assistance with 9-1-1, music voice commands, phone connectivity and more. A rear backup camera is standard as is a premium 12-speaker, 550-watt Infinity audio system, dual climate control with rear seat ventilation, 10-way power driver’s seat, leather seating surfaces and keyless entry with push button start. Upgrades can be had through premium and technology packages that bring in a sunroof, heated seats, alloy wheels and safety features. 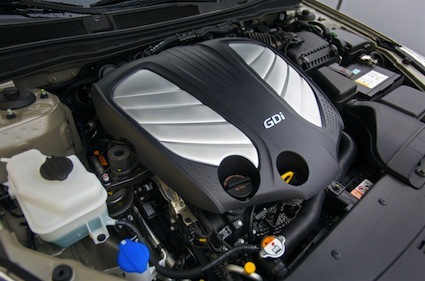 All 2014 Kia Cadenza models are powered by a 3.3-liter gasoline direct injection rated at 293 horsepower at 6,400 rpm and 255 foot-pounds of torque at 5,200 rpm. This engine is paired with a six-speed automatic transmission with a sport shift mode. Steering wheel mounted paddle shifters allow for a more spirited drive. 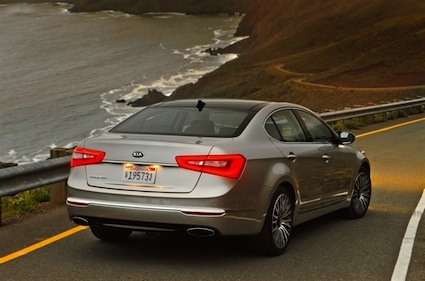 The EPA rates the Kia Cadenza at 19 mpg in the city and 28 mpg on the highway. An 18.5-gallon fuel tank gives this sedan a maximum cruising range of 518 miles. This model takes regular grade gasoline. The all-new Kia Cadenza sits on a 112-inch wheelbase. This model is 195.5 inches long by 72.8 inches wide by 58.1 inches tall. Front and rear track measures an identical 63 inches. The Cadenza has a 5.4-inch ground clearance and offers 106.8 cubic feet of interior volume. This model has a 15.9 cubic foot trunk. Head room measures 40 inches up front and 37.8 inches in the rear. Shoulder room comes in at 58.3 inches up front and 56.5 inches in the rear. Leg room measures 45.5 inches up front and 36.8 inches in the rear. The standard wheel size is 18 inches, set within 245/45R-18 all-season tires. Optionally, 19-inch alloy wheels shod within 245/40R-19 rubber are available. Every Kia Cadenza is outfitted with eight airbags. This model is also equipped with seat-belt pretensioners, stability control, traction control, anti-lock brakes, brake assist, hill start assist and electronic brake-force distribution. Like all Kia models, the Cadenza is covered by a 10-year/100,000-mile powertrain warranty. Also included is a 5-year/60,000-mile bumper-to-bumper warranty and a rust warranty. Roadside assistance is offered for the first five years or 60,000 miles of ownership, whichever comes first. Photos courtesy of Kia Motors America, Inc.